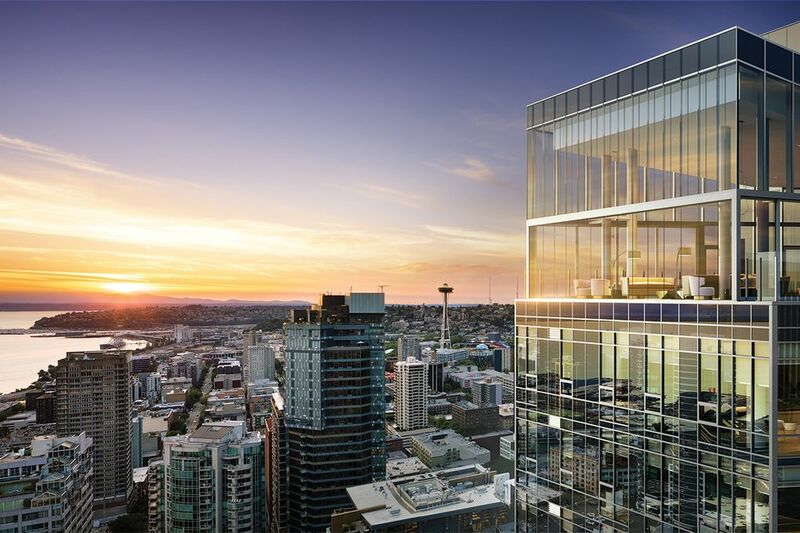 Sales begin early this year at The Emerald, a 40-story condominium tower planned near Pike Place Market. A world-class design team has created 265 signature residences featuring unobstructed westward views of Puget Sound and the Olympic Mountains. SEATTLE — Imagine claiming Pike Place Market as your neighbor. You begin your day with fresh coffee and a warm pastry in hand, savored amid the buzz of Seattle just waking up. In the evening, you pop down for dinner provisions (fresh fish, a bottle of local wine, artisan chocolate) or pick up a colorful bouquet of flowers. Over time, you become friendly with the vendors whose shops you frequent as your home becomes more than an address. Such a routine will become a reality for residents of The Emerald, a 40-story condominium tower where sales begin early this year. Its enviable location is one block from Pike Place Market, and steps away from the new waterfront promenade and downtown’s trendiest shopping and dining. The Emerald’s location is one block from Pike Place Market and steps away from the new waterfront promenade. 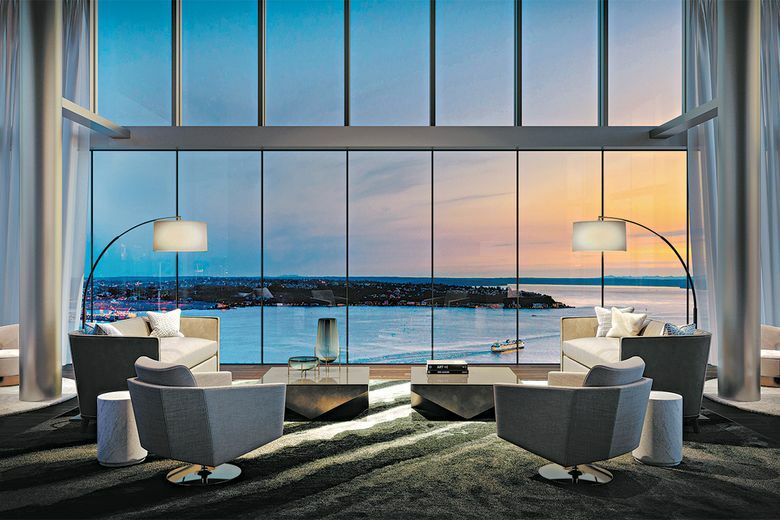 Inside, a world-class design team has created 265 signature residences featuring unrivaled and unobstructed westward views of the sparkling Puget Sound and picturesque Olympic Mountains that boast calm and contemporary palettes. Amenity spaces are interpreted for modern living, with several floors offering inspiring spaces in which to entertain or find a calm escape in the heart of the city. Imagine a lively night with friends where snowcapped mountains serve as your dinner party backdrop. Or, perhaps you quietly enjoy a glass of wine and a picturesque sunset by the warmth of a fire. And thanks to strict zoning codes applied to Pike Place Market, these panoramas promise to stick around. Homeowners at The Emerald can take a scenic morning run along the waterfront, afterward stopping by the fitness studio to stretch. From the third-floor terrace, watch commuters darting between buses as they hustle to work, while residents take their time easing into the day.